Michael Angelo Custom Painting, Inc.
Our goal is to connect people with the best local experts. 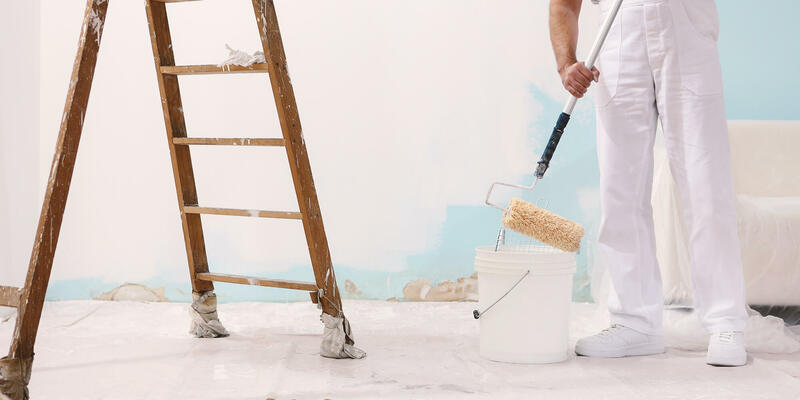 We scored painters on more than 25 variables across five categories, and analysed the results to give you a hand-picked list of the best painters in Fresno, CA. Located in Fresno, California, Duley's Quality Painting is a professional painting contractor licensed and insured throughout the state of California. The company serves both residential and commercial clients in the local city and in the wider Central Valley metropolitan area and offers prospective clients a no-charge, no-obligation consultation on its work. In business since the early 1990s, Duley's Quality Painting offers such services as interior and exterior painting, wall repairs, steam and pressure washing, and weather sealing for concrete and wood surfaces. The company can be contacted by phone or email and has a social media presence on Google Plus, Twitter, and Facebook. Duration Painting Inc. is a California company that takes on residential and commercial painting projects. Customers can expect to work directly with the owner, Mike Culy, on every project. Mike has more than two decades of expertise in the coatings and applications industry, and he has experience in all aspects of the trade: technical, sales, and application. Duration Painting Inc. serves the Greater Fresno area, including Clovis, Muscatel, Pratton, Las Palmas, and Goldleaf. It is a licensed company that carries worker's compensation and full liability insurance. It has a strong commitment to site safety, and it holds weekly safety meetings to ensure that no-one is hurt on the job. Clients are encouraged to visit the company's portfolio page on its website so that they can get an impression of the quality and style of Duration Painting's work. Ludwig Kuest Painting has provided services to the greater Fresno community for over two decades. Owner Ludwig Kuest is a second generation painter who began working in his father's business in 1974. Services include interior and exterior painting, stucco repairs, wallpaper removal, drywall repairs, cabinet refinishing, and more. Ludwig Kuest Painting has completed commercial projects in shopping malls, office buildings, medical offices, and restaurants, as well as residential work on historic homes. The company is fully insured, bonded, and certified for lead renovation. They pride themselves on high work ethic and customer service, offering free estimates and custom solutions for any budget. Michael Angelo Custom Painting, Inc. serves the area in and around Fresno and Clovis, California. The business is owned and operated by Michael and Vennessa, a husband and wife team. Their services encompass interior and exterior painting, including professional advice on color selections. Michael Angelo believes in working on a flexible schedule for their clients, using a well-planned project outline. Their employees are hired based on not only their talent as painters but also their customer service abilities. Michael Angelo's clients compliment them on their friendly attitudes and their work ethic that allows them to finish projects skillfully and on time. Robert Munoz Painting serves Fresno, Clovis, and the surrounding areas, providing commercial, industrial, and residential painting services. In addition to their painting services, they also offer a mobile sandblasting and insulation installation service. Their employees are licensed, insured, and trained to provide the best service. They are committed to consistently completing projects quickly at fair rates using quality products. They offer education and consultations on painting and decorating, lending their years of experience to their clients. Clients speak highly of Robert Munoz Painting, saying the technicians were fast, clean, and efficient, suggesting ways to keep costs down and working within their customers' timelines. Roger’s Painting & Finishes is a professional painting company based in Fresno, California, serving commercial and residential clients in the Central Valley. Company owner Rogelio H. Arellano founded the business in 1986 and has over 35 years of industry experience. He is proud of the favorable reputation the company has built over the years and of the loyalty he has received from clients. His company is licensed, bonded, and insured, and specializes in painting custom homes, existing homes, and new construction. Services offered include cabinet re-finishing, special finishes, and home décor artwork. Client reviews speak of the staff’s hard-working nature and commitment to customer satisfaction. Others highlight exceptional and honest service. Rojo's Painting is a full-service painting and remodeling company in Fresno, CA that also serves Clovis and Madera. The family-owned company opened more than 30 years as a home painting business and later expanded to take on commercial projects such as medical office buildings, restaurants, and the new addition to Central Valley Children's Hospital. Rojo's Painting uses only brand-name products and selects the highest grade of paint available from the manufacturer. The company handles interior and exterior paint jobs as well as drywall repair, cabinet refinishing, furniture refinishing, and wallpaper removal. Rojo's Painting also can perform a full home remodel. The company provides free estimates and accepts most major credit cards. The Painter & Wallpaper Hanger of Fresno comprises a team of two professionals, Mike and Claudia, who have nearly four decades of experience in the painting business. The Painter & Wallpaper Hanger offers interior and exterior painting services for both residential and commercial customers, cabinet refinishing, staining, and glazing, acoustic removal, garage epoxy coatings, the hanging and removal of wallpaper, and more. Before beginning any project, the business offers a color consultation and paint matching session. If a client is unsure of a decision or is having a hard time deciding between colors, The Painter & Wallpaper Hanger can show the client just what their home or business would look like in each possible scenario using computer color imaging. Other services the company offers include drywall repairs and texturing and interior design advice.